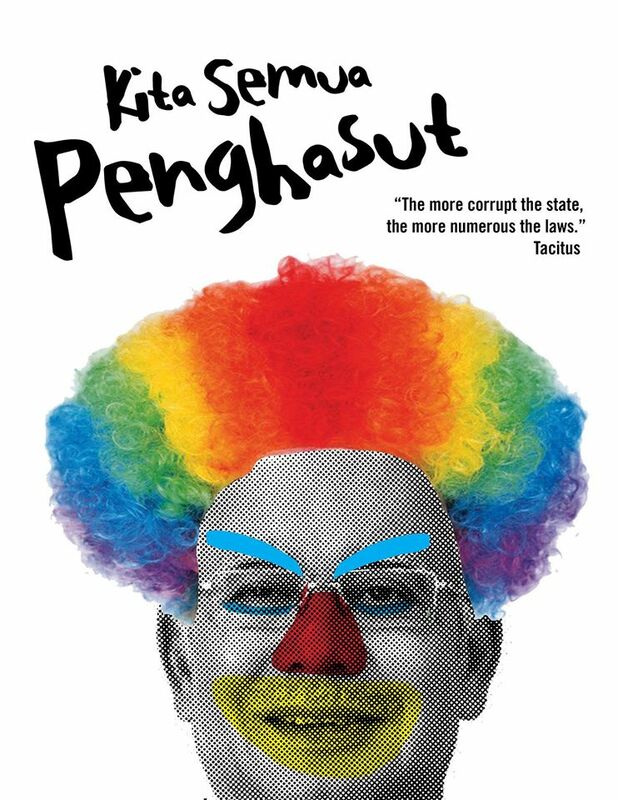 "In a country filled with corruption, #KitaSemuaPenghasut?" 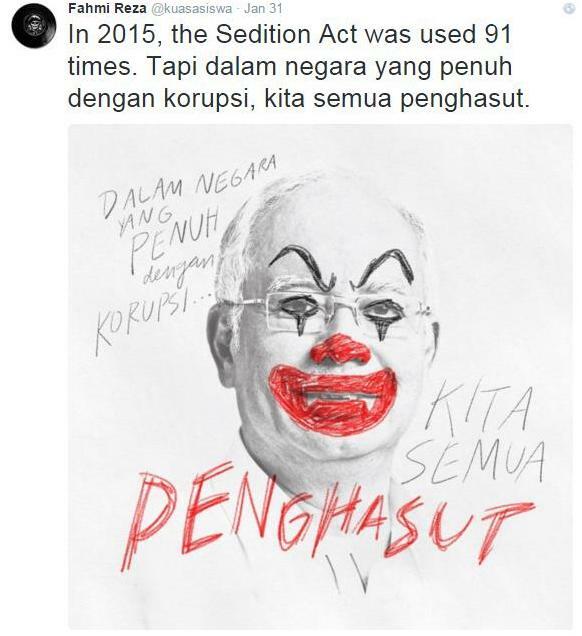 On 31 January, Fahmi posted up a sketch of Prime Minister Datuk Seri Najib Razak with the distinctive features of a clown drawn over it on his Twitter account with the hashtag #KitaSemuaPenghasut. 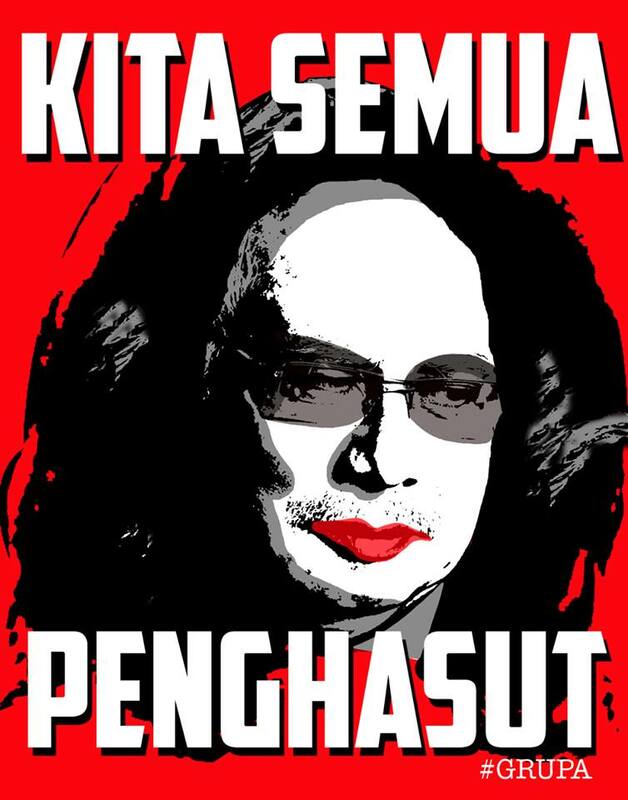 Inspector-general of police Khalid Abu Bakar was also tagged in PCIRC's Twitter warning to Fahmi. However, Fahmi has remained uncowed. “There is no time for niceties when fighting against corrupt rulers, in a country that uses laws to protect the corrupt and oppress those who speak out against it,” he said in a Facebook posting about the warning. 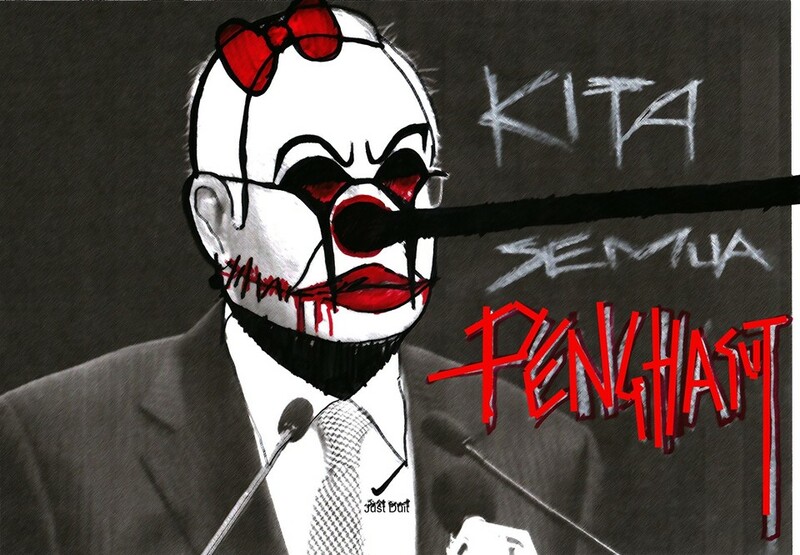 The images posted are all tagged with the hashtag #KitaSemuaPenghasut and accompanied by different quotes and sayings, with most of it taking a jab at all the recent political and corruption scandals that PM Najib Razak has been associated with. 2. "Send in the clowns." 4. 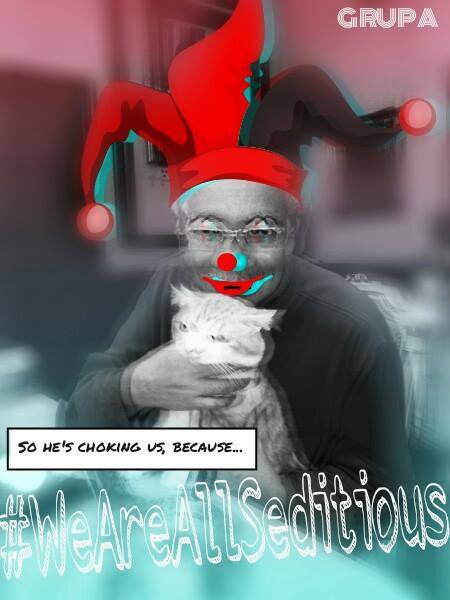 "We are all seditious!" 8. 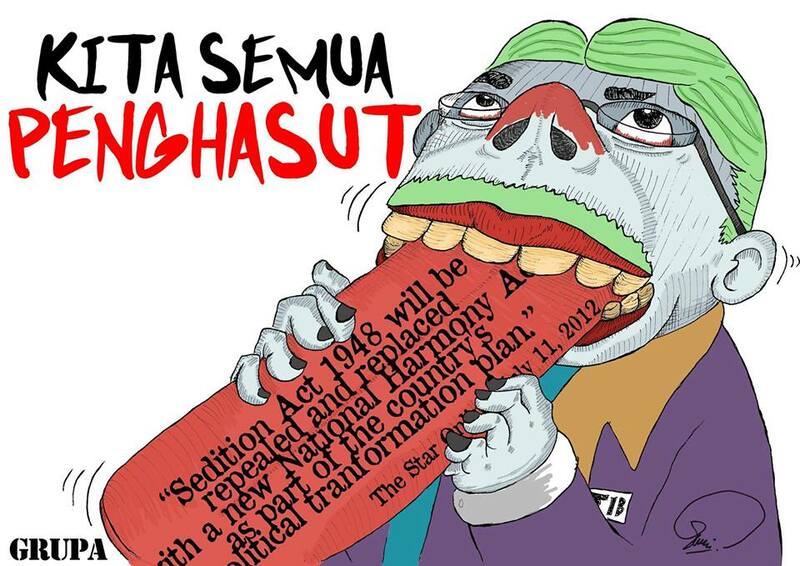 "The Sedition Act 1948 would be repealed and replaced with a National Harmony Act as part of the country’s political tranformation plan. 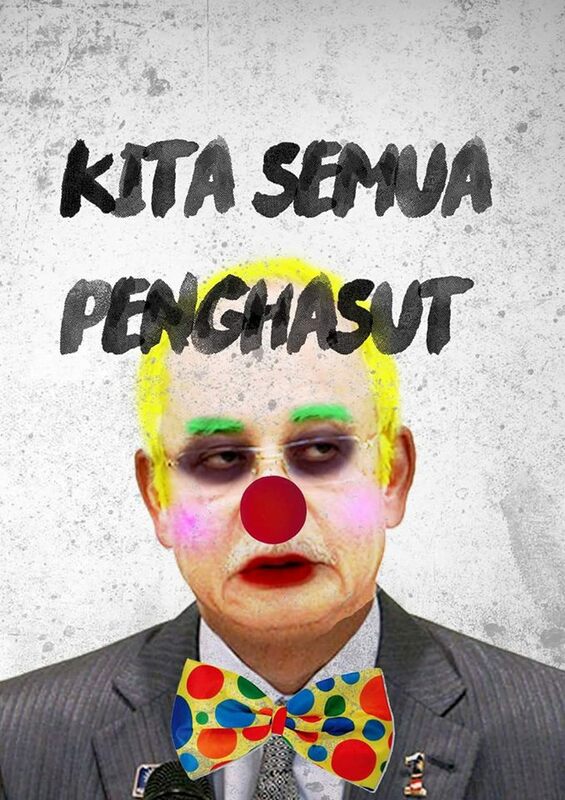 "- Datuk Seri Najib Tun Abdul Razak. "Eating his words or biting his tongue?" 9. 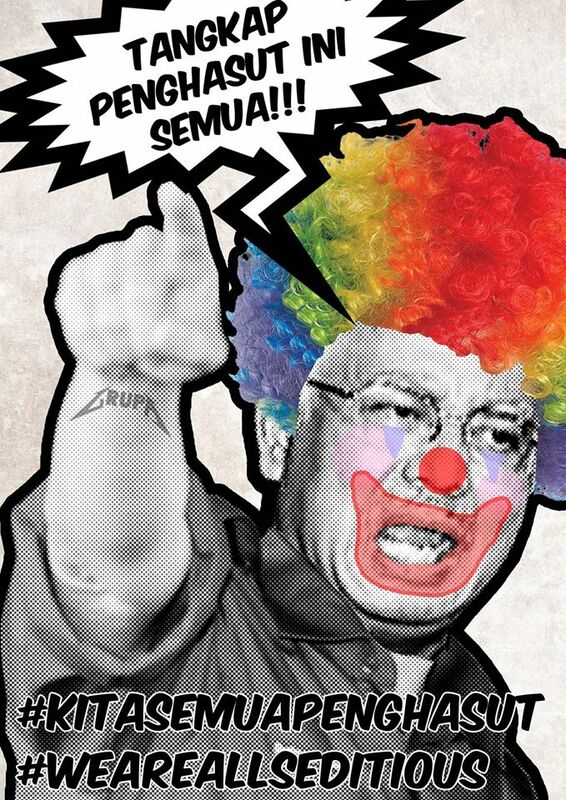 "In Solidarity with Fahmi Reza." 10. 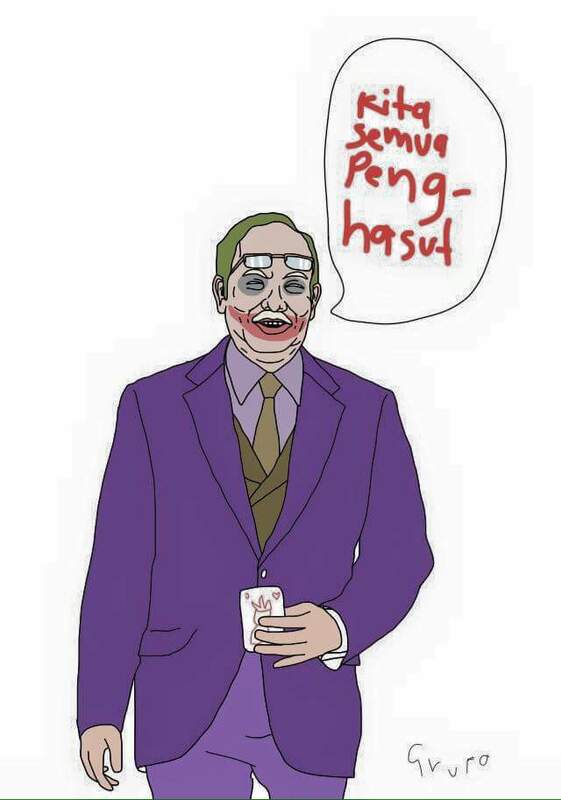 "Siakap senohong gelama ikan duri, bercakap bohong lama-lama mencuri." The 8pm prime time slot on TV3, a local private television channel, is dedicated to the national flagship daily evening news program that runs daily from 8pm till 9pm. 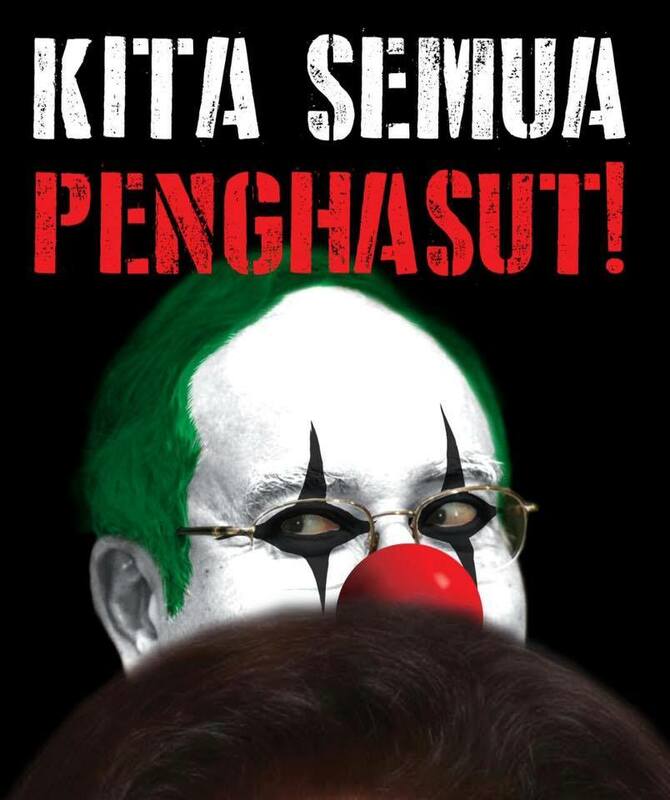 The Jawi phrase on the poster directly translates into the tagline, "Kita Semua Penghasut". 15. "Ada udang di sebalik batu"
16. 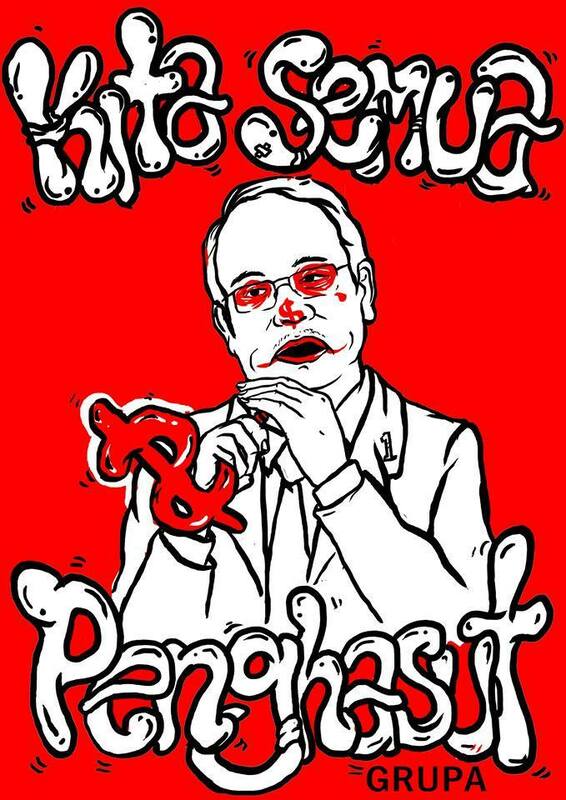 "Jangan takut, kita semua penghasut." (Don't be afraid, we are all rabble-rousers." 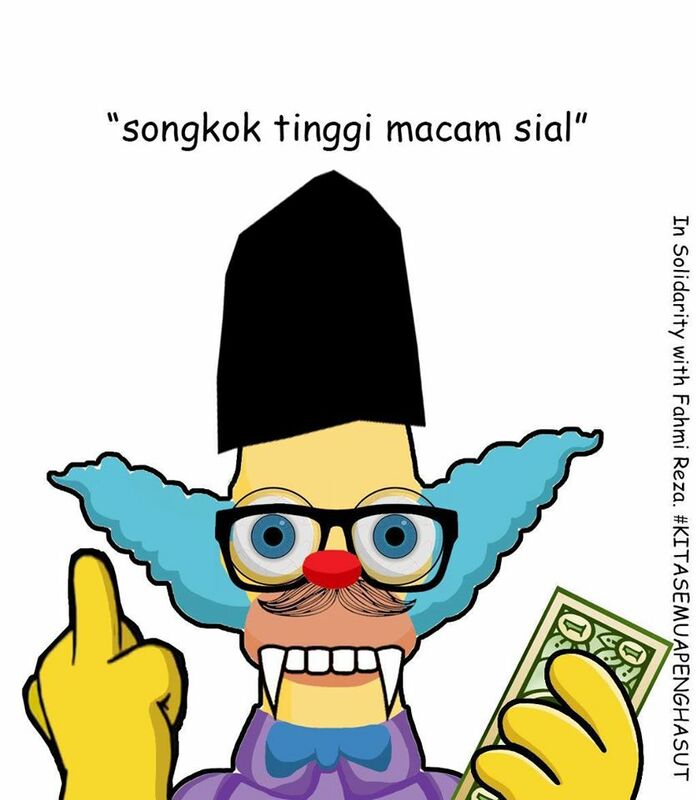 When asked by political news portal, Malaysiakini, on whether they would reveal their identities, GRUPA artists insisted that they would retain their anonymity to not deviate from the motive of this "solidarity campaign"
“This project is not about us as individual designers, but about the causes we are highlighting, and the movement we are trying to build as a collective through GRUPA,” one of the members, speaking for the group, said. 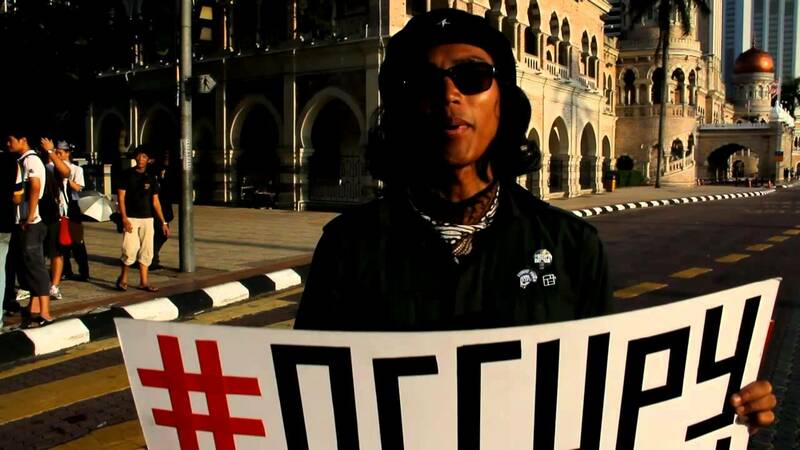 Fahmi Reza and Omar Mohd Azmi were picked up by police officials at about 8am despite the Kuala Lumpur City Hall (DBKL) recently giving the Occupy Dataran movement the go-ahead to carry out their demonstration. 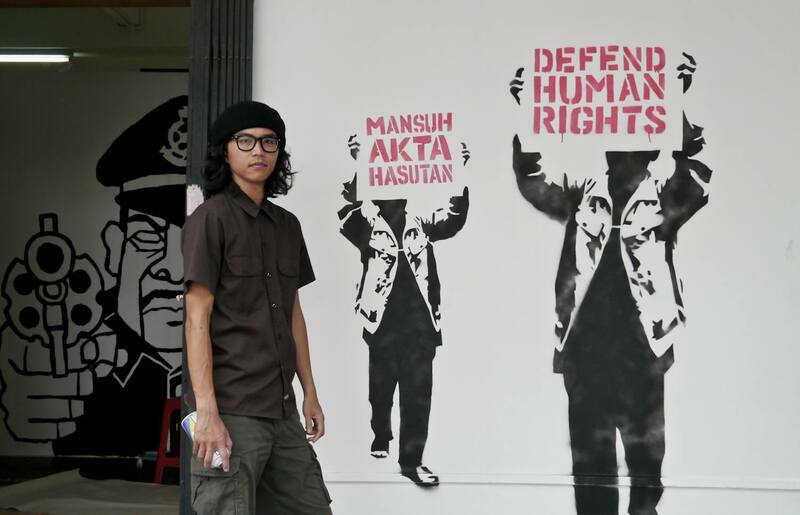 “Fahmi was sitting down, not doing anything when plainclothes policemen came and arrested him. 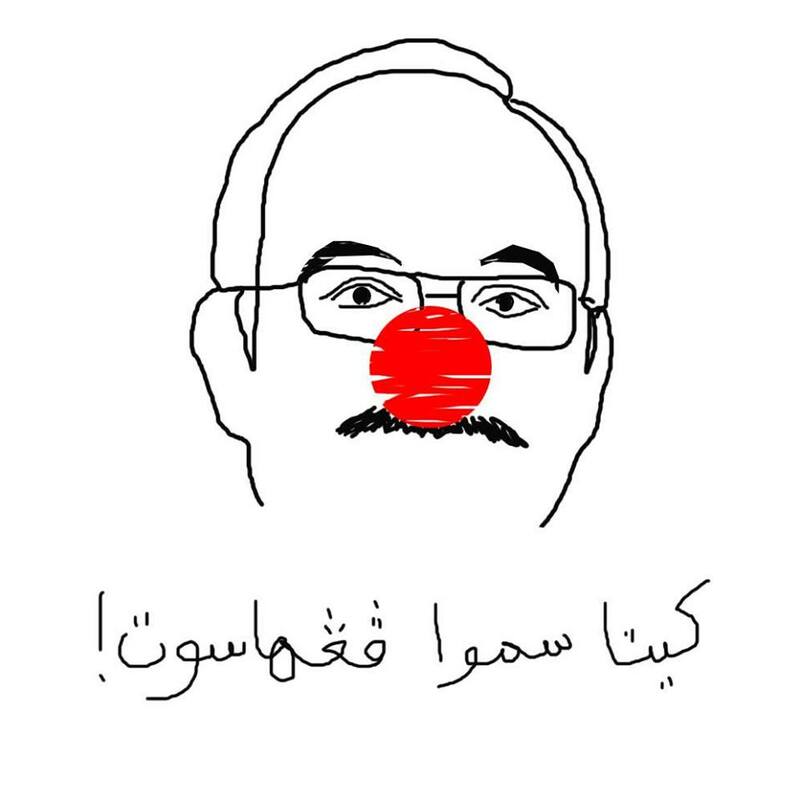 Omar tried to pull Fahmi back and got arrested. 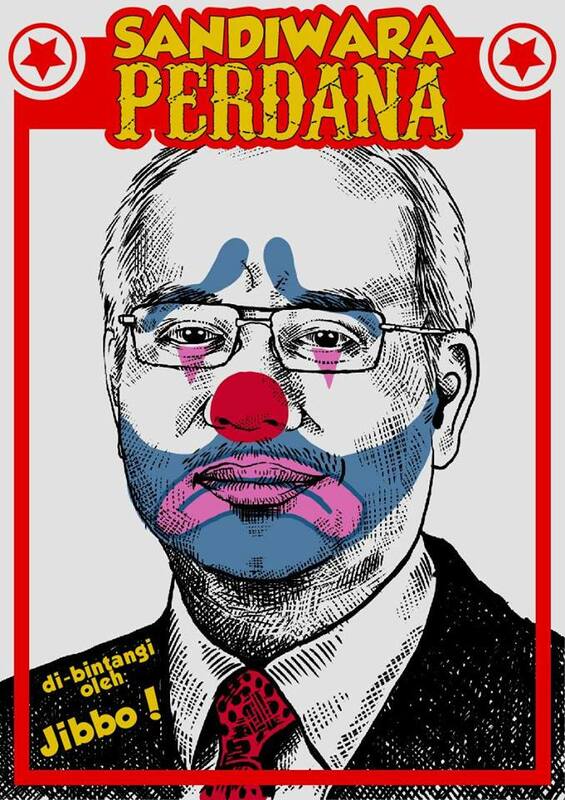 “Plainclothes policemen accompanied by DBKL officers came, the cops did the arrest while DBKL took down 40 out of 62 tents,” Kris Khaira, an Occupy Dataran participant told The Malaysian Insider today. Social activist Fahmi Reza does not plan to take one sen from the money he won from his court battle with the police and the KL City Hall, saying today the entire sum of RM38,000 will be donated to activism. 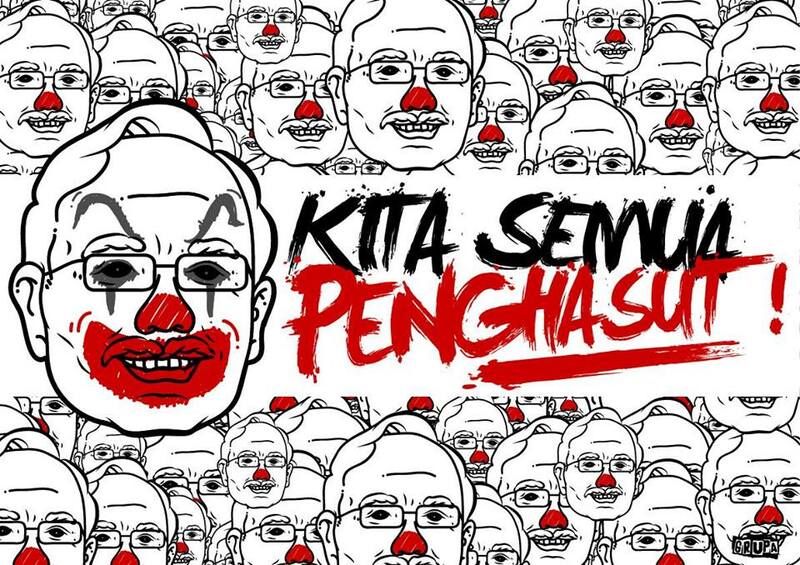 The 38-year-old graphic designer who first made the announcement on Facebook yesterday, confirmed with Malay Mail Online this morning that the money will go into a fund to help protest movements fighting against injustice and power abuses in Malaysia. “It has never been about the money from the get-go,” he said in a statement. “This case has always been about the importance of speaking up when there is injustice, to stand up and fight when we are victimised by the authorities, and for us to be courageous in our struggle to defend our freedom and basic rights,” he added. 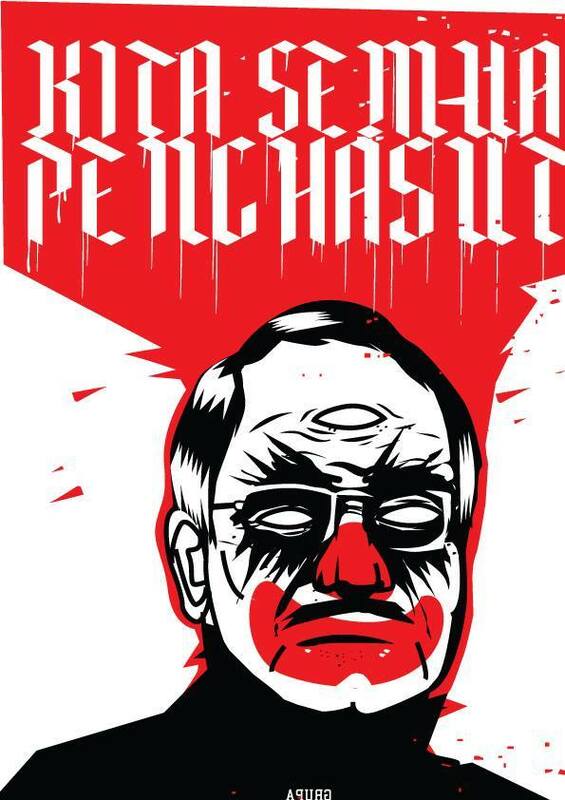 What's Really Behind Dr M's Council Of Elders Plan? Dr M wants a council of elders to guide the PM in leading the government. But why? 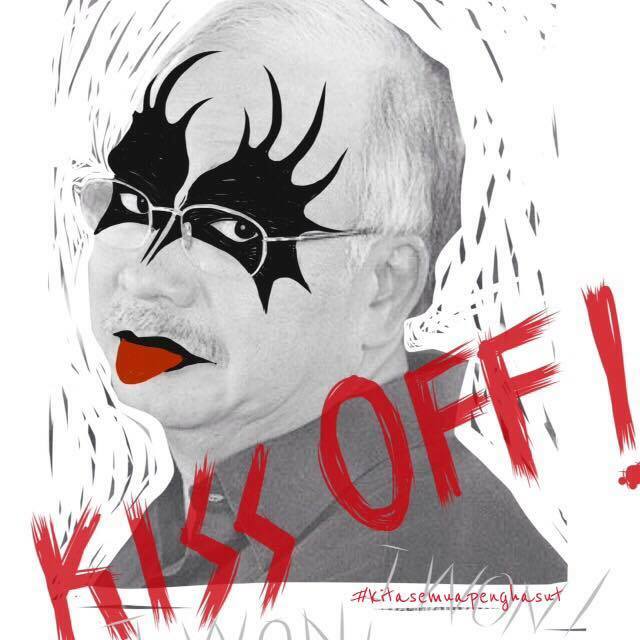 Dr M: "I Think If That Bangsat (Najib) Leaves, We Won't Be Bangsatlah"
Wall Street Journal's 101 on Malaysia's biggest corruption scandal.